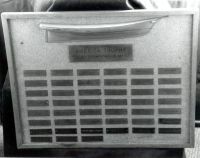 History: The award was established in 1941 to recognize the top team in the Mid Atlantic District. 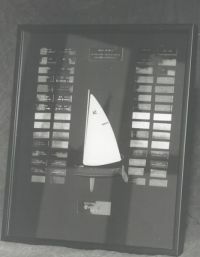 Awarded annually to the winner of the Mid Atlantic Fall Dinghy Championships. History: This award was established in 1964 to recognize the top team in the Mid Atlantic District. Awarded annually to the winner of the MAISA single handed championships. 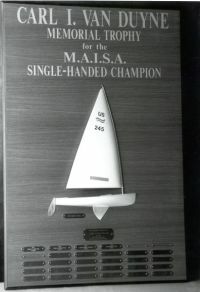 History: This trophy was established in 1983 and is awarded in November to the winner of the MAISA single handed championships. Awarded annually to the top team's freshman in the Mid Atlantic district. History: This award was established in 1963 and is awarded twice a year to the top team's freshman in the spring and fall. 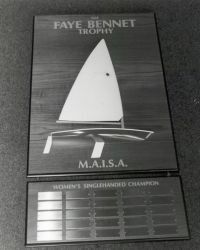 Awarded annually to the winner of the MAISA Women's Singlehanded Championship. History: The award was established in 1994 to recognize Faye Bennet. A senior judge an junior championship chairman, she has been a long time participant and supporter of junior and youth activities. 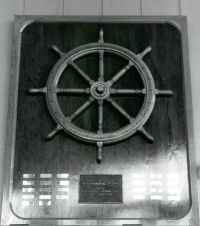 This award is presented in October of each year.